ConfirmByEmail has expanded and relaunched its popular dental communication software. Effective immediately, ConfirmByEmail will be known as PracticeAlpha. 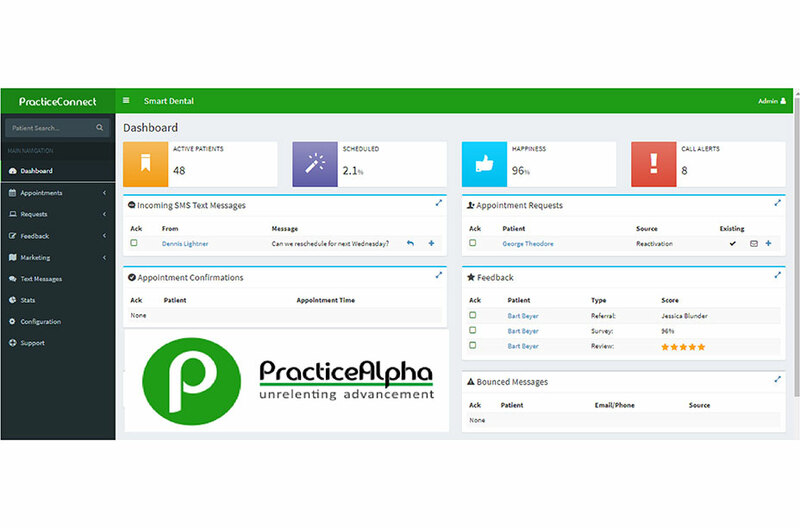 The PracticeAlpha brand features 2 services—PracticeConnect, which provides the same services that ConfirmByEmail offered along with a modernized dashboard and new features that will complement almost any management system on the market today. PracticeInsights provides the industry with data analytics that are crucial to the success of any practice. Easy-to-read analysis will transform the dental practice into a peak performer.